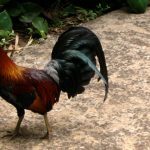 Kauai is known as the Garden Island and is a nature lover’s paradise dotted with dense tropical forests, sparkling beaches, and historic Hawaiian towns. 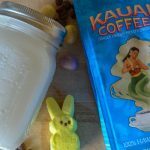 Did you know Kauai is also a top travel destination for coffee lovers? 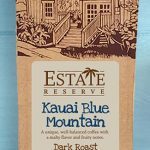 As the home of Kauai Coffee Company, the largest coffee farm in the United States, no trip to the island is complete without a visit to the Kauai Coffee Estate. 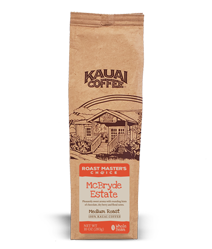 Kauai visitors and coffee lovers of all kinds can now immerse themselves in the entire process of making delicious island-grown coffee from seed to cup on the Kauai Coffee Farm Tour. Departure Schedule: Monday through Thursday, 9:00 a.m. – 11:00 a.m. Visiting the Kauai Coffee Company is a must-do activity on Kauai and is ranked as the #1 attraction in Kalaheo on Trip Advisor. 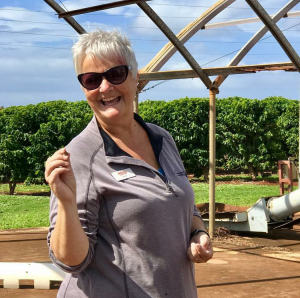 The new Coffee Farm Tour is a hands-on experience that begins at the Visitors Center located at 870 Halewili Road on the southwest side of Kauai approximately 17 miles from the Lihue airport and a few miles west of Poipu. 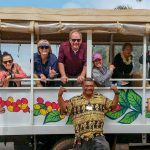 During the tour, visitors will enjoy a guided, open-air tram ride through the coffee orchard with a Kauai Coffee staff member and will be treated to stunning views, rich history and an opportunity to plaint their own tree in the orchard. The tour takes visitors through the orchard and past the processing facility to see the journey coffee takes before it’s poured into your cup and concludes with a private sampling of select coffees including a sample of the variety you just planted. 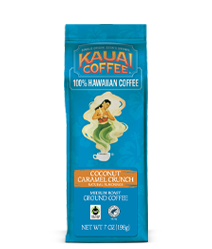 Today, Kauai Coffee is the largest coffee farm in the USA and it all started with something sweet. 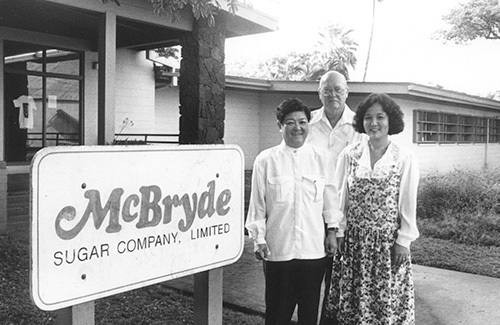 Kauai Coffee began in the late 1800’s as the McBryde Sugar Company. The first coffee trees were planted nearly 100 years later in 1987. Tour takers will enjoy a journey back in time through Kauai’s sugar plantation past and see many historical references along the tour route including original plantation structures and the long, narrow roads through the farm still numbered the way there were when the acres were covered in cane instead of coffee. 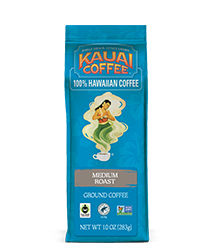 Coffee isn’t a native species in Hawaii but it grows well in the tropical climate of Kauai. Trees in the Kauai Coffee orchard originated in many parts of the world including Guatemala, Brazil, and Jamaica. 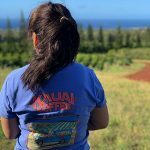 On the Kauai Coffee Farm tour visitors will learn about the varieties of arabica coffee grown in the orchard and have an opportunity to plant and geotag their own coffee tree. 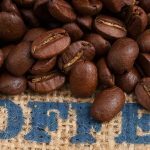 It will take a few years before the tree will begin to produce fruit but when it does the coffee beans from one tree produce approximately one bag of coffee. In a few short years, your cup of Kauai Coffee may just come from a tree you planted! 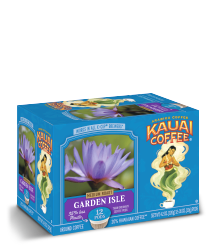 The island of Kauai is beautiful year-round and Kauai-grown coffee is delicious rain or shine so there is never a bad time to visit. 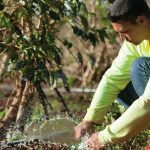 Coffee trees bloom in the winter and early spring and blanket the orchards in fragrant blossoms or “Kauai snow” for a few weeks early in the year. 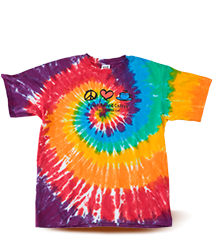 Coffee cherries form on the branches of the trees during the spring and display their brightest red and yellow colors late summer into fall. The coffee harvest begins in late September and is an exciting time to be on the farm as well. Make a reservation for The Kauai Coffee Farm Tour online or call the Visitors Center at 808-335-0813 to plan your visit.